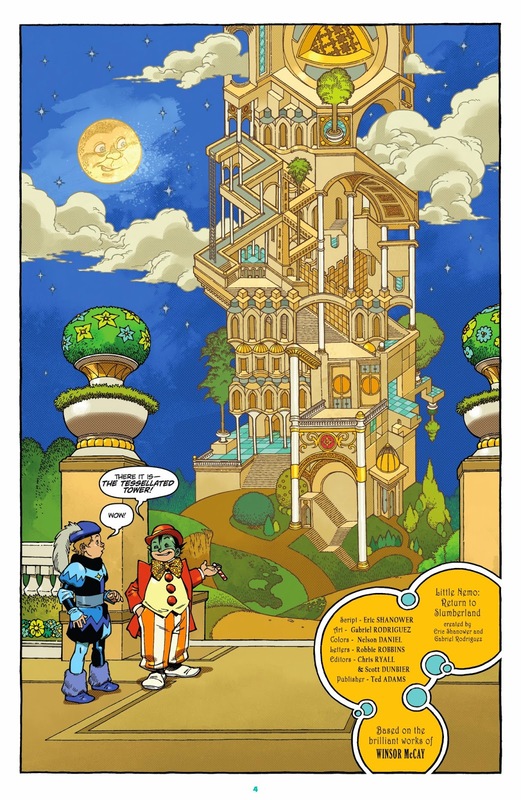 The recent Little Nemo in Slumberland series, by Eric Shanower and Gabriel Rodriguez, has been a fun revival of Winsor McCay's legendary early 20th century newspaper strip. Roaming about in Slumberland, the land of dreams, a new kid named Nemo goes on fantastical adventures across impossible landscapes and places where no rules of physics apply. One of the places this new Nemo visits is The Tessellated Tower. 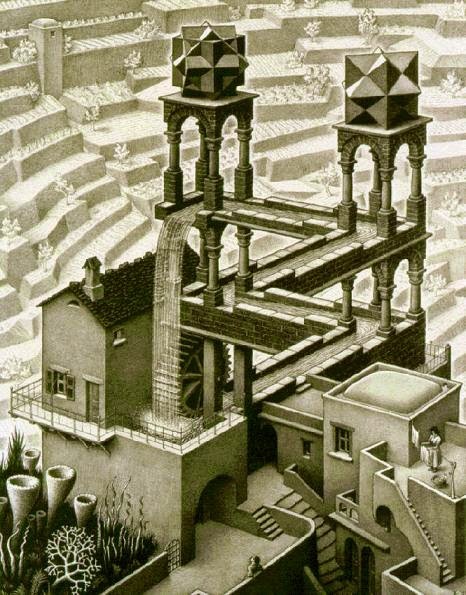 That's straight out of MC Escher architecture, such as in his piece, Waterfall. 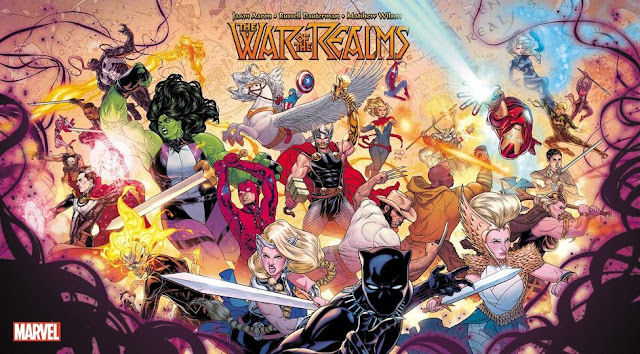 So that goes in the Escher in Comics catalog. Feel free to send me more at comicscube@gmail.com!